If you follow this blog you may be thinking “MORE realistic stone sculpture? ?” And the answer is “Yes.” What can I say, I get a kick out of it and am impressed by the skill. I was walking by Washington Square Park today and happened to spot these marble towels through the window of 80WSE a New York University gallery. They made me smile. 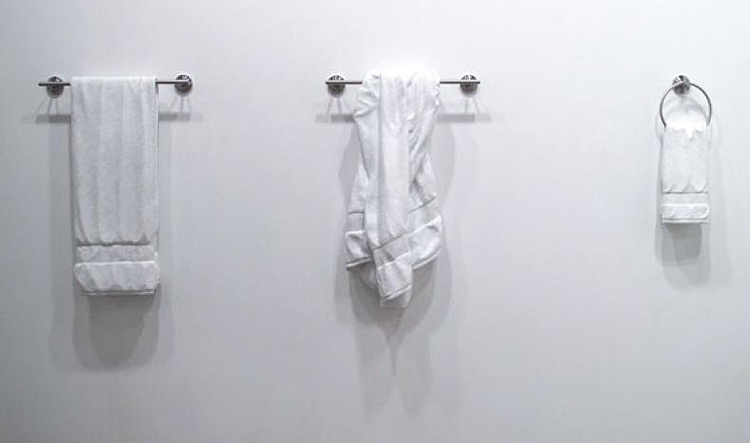 The draping is so well done and having placed them on towel racks made them all the more trompe l’oeil-ish. I went in, got the artist’s name and googled him out. Sebastian Martorana is a stone carver and illustrator based in Baltimore, Maryland. His work was recently featured in the 40 Under 40 40th Anniversary exhibit of Renwick Gallery of the Smithsonian. Yours, Mine, Ours; Shed; Impressions; Homeland Security Blanket; (couldn’t find name of Lego figure or bag); Frustration 81/2 x 11. Photos courtesy the artist and Contemporary Wing. 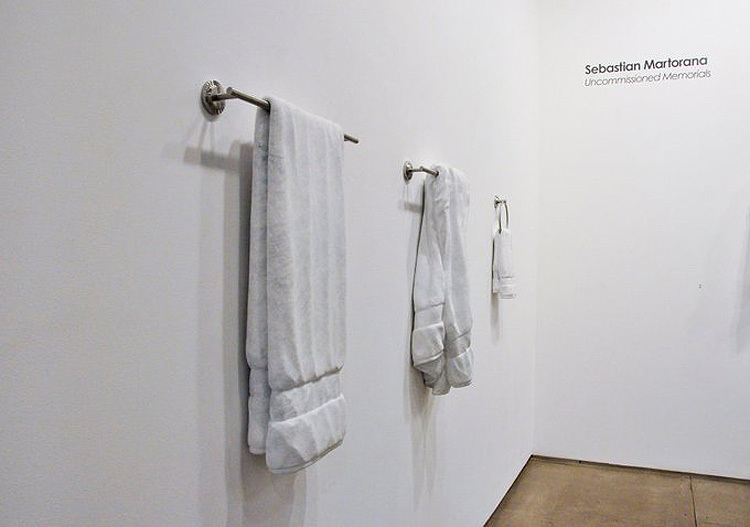 Sebastian Martorana’s work is part of a group show currently at 80WSE through December 22, 2011. 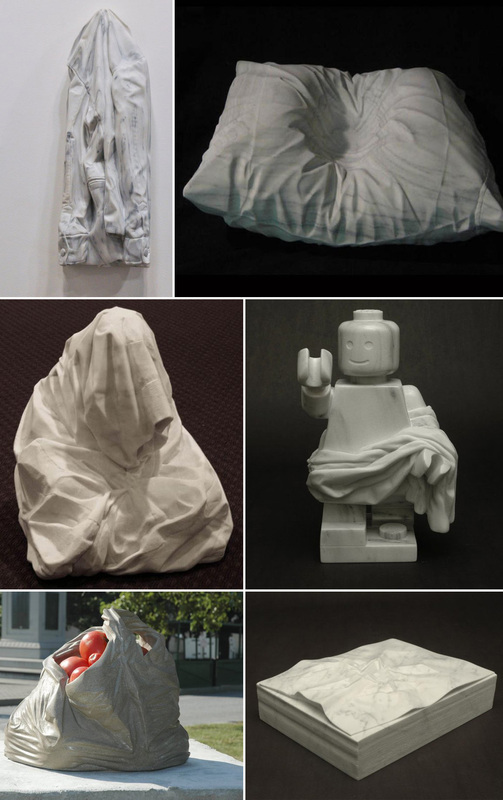 If you like these sculptures you might also enjoy Chris Mitton and Vlad Berte. This entry was posted in Art, Event, Fun, NYC, Pop Culture, Stuff We Like. Bookmark the permalink.